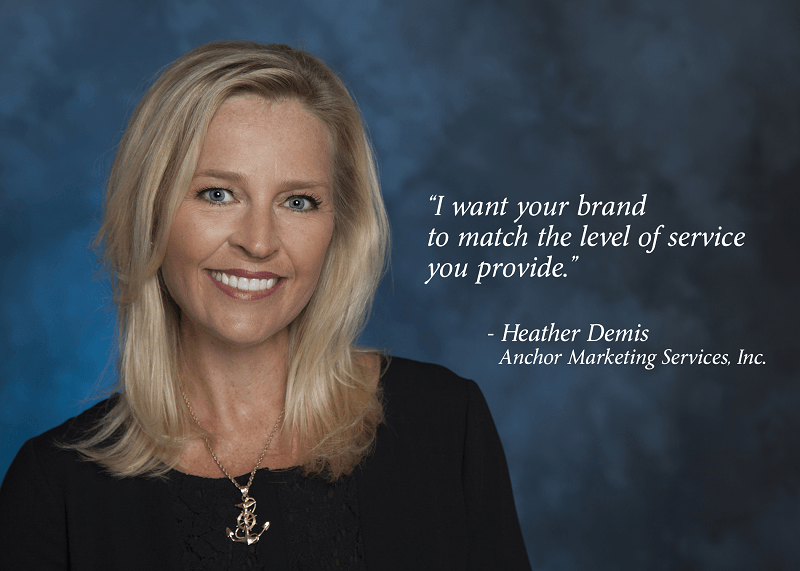 Anchor Marketing serves as your in-house marketing department, working with your budget and wish list without service fees, consulting charges, agency rates, or retainer fees. We keep all logo designs and images on file forever, so you can call us when you need to re-order existing items, or order new items that will help you Anchor Your Image. Successful companies understand the importance of an identifiable corporate image. Colors, logos, and messaging need to be consistent and timeless – but that doesn’t mean they can never evolve. When you are ready to update your image, you can trust the experts at Anchor Marketing to provide professional brand development for your business. We review your existing colors, styles, logo, and visual branding; listen to your goals and expectations; and deliver the look and feel that help you stay fresh, relevant, and competitive. We work with small- to medium-sized businesses to establish the standard for your corporate image. Our experts listen to your goals and objectives; discuss every aspect of color, image, design, and messaging; and deliver the visual brand that will Anchor Your Image on immediate needs such as business cards, stationery, and website; plus future items including folders, apparel, trade show displays, giveaway items, and more.